Our personal excellence quality for the month of November was, of course, ‘gratitude'. Everyday the students and I each thought of at least one thing that we were grateful for. 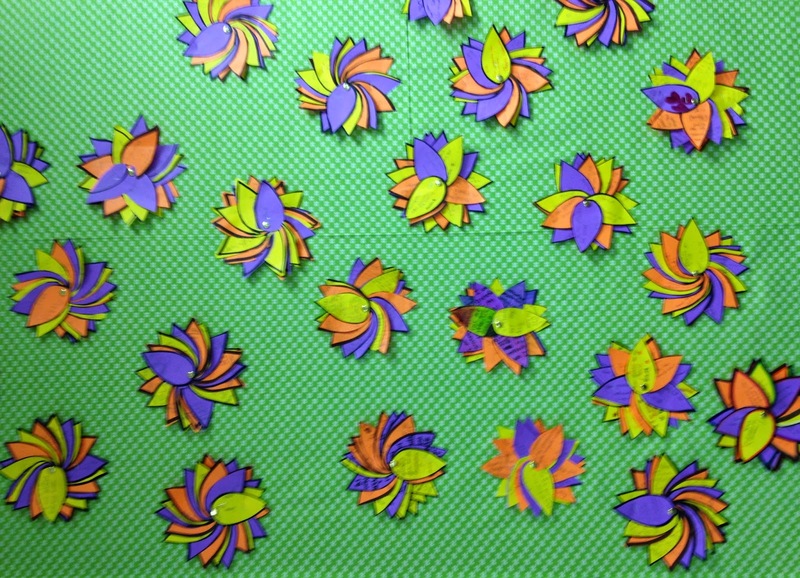 After seeing a unique way to make a thank you card on Pinterest I decided to have each student make their own ‘gratitude flower’. They wrote one thing they were thankful for on one petal a day and at the end of the month they each put their own flower of gratitude together. It was wonderful to see each student get in the habit of looking for all the things that they were grateful for in their lives. We are so fortunate to have so much bounty in our everyday world and we seldom stop and appreciate how lucky we are. I put up our flowers on our ‘Gratitude Garden’ wall so that we would remember to continue to be grateful and just so we could admire them. Students wrote one or more things they were grateful for in their life everyday on a petal. At the end of the month they cut them out, we hole punched the leaves, and used a brass fastener to hold them together.